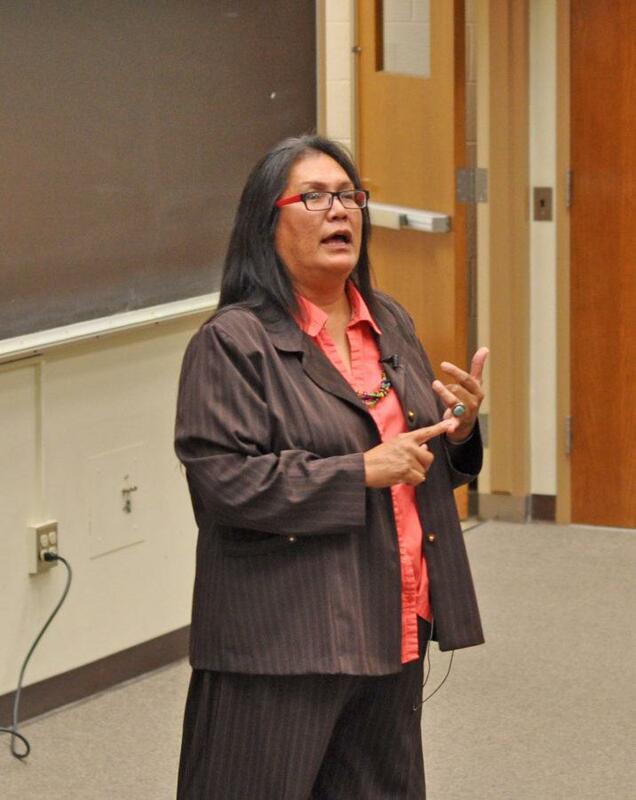 Trudie Jackson (Navajo), a Graduate Student in American Indian Studies-Tribal Leadership & Governance of Arizona State University, speaks about her experiences of a transgender Native American to a group of students at the University of Illinois Urbana-Champaign on Novemeber 3, 2015. When Trudie Jackson returned to school in 2009 to earn her degree in social work she realized the need to address LGBT health. 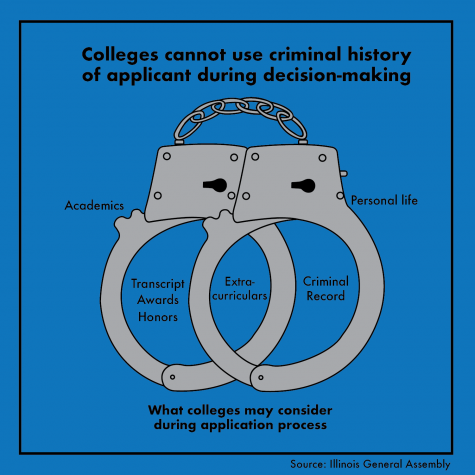 As a case manager in the human service field, she was supposed to serve 15 clients but ended up with a caseload of over 24 clients. Jackson, graduate student in American Indian Studies and Tribal Leadership and Governance at Arizona State University, is an advocate for proper health care rights for LGBT identifying Native Americans and spoke about the challenges they face at the Medical Services Building on Tuesday. Native American and Alaskan Native health care has long been carried out by the Indian Health Services (IHS). But those who identify as LGBT have not received the same level of health care services as those who don’t identify as LGBT. Jackson represented the LGBT-identifying Native American community at the American Indian Physician Conference where she gave a presentation to the IHS director. Another barrier to the Native American LGBT community is the concept of having access to proper healthcare and outlets to speak and raise awareness in urban versus rural environments, as many of these sessions are in Washington or IHS headquarters in Maryland. Jackson also voiced how at times she is the only Native American LGBT representative working with community partners in Phoenix on raising awareness. She also spoke about the importance of frontline workers being sensitive and open-minded when reaching out to Native American communities with LGBT individuals. Similarly, Jackson stressed the importance of proper training for health care providers in interacting with LGBT patients.